Being headquartered in Lausanne, Switzerland, we take our inspiration from Swiss graphic and product design. Each digital website, graphic user interface or mobile app privileges minimalism and elegance to accentuate simplicity and functionality, to create an outstanding user experience. We believe in the concept of function over form; meaning the design of a website or mobile application should improve usability and fulfil the pre-defined user requirements established in the planning process. Darwin Digital will design/redesign your online visual identity to align with your core products/services and brand values. 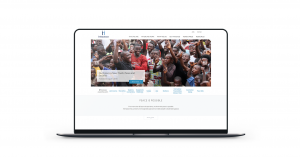 Depending on the scope of your project, our digital design team use a combination of user-experience, user-interface and web design to deliver design that motivate and inspire your target audience. Before a line of code has been written, we will carry out user-experience testing to make sure that the design and information architecture of a site or app work as expected. Unlike traditional media, digital design is a dynamic medium that can be refined and improved over time. We monitor and analyse user-experience and call-to-action usage to ensure maximum engagement. Our award winning designers have designed innumerable interfaces for mobile applications, web applications and other digital media. Understanding the client, their products and the digital environment they work in, are paramount to developing an effective design brief and this is why we include the client in this phase. 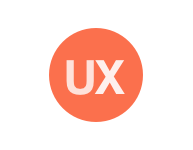 UX and UI designers will work closely with you to reach excellence together. We take a holistic web and digital design approach that adheres to the core concepts of Swiss design, accentuating simplicity, usability and functionality. In the constantly evolving digital landscape, good web design is only a fraction of the whole: the user’s experience must be considered and augmented. Darwin Digital understands that first impressions count on the web, this is why your logo and brand need to reflect your target audience’s desires and values. Our design team is passionate about creating custom digital branding and logo design that will make your services or products stand out and tell your story on all digital channels. At Darwin Digital, our UX solutions focus on responsiveness and engagement, ensuring maximum user interaction through consistent feedback from both you and your users. We streamline and simplify users’ journey through your website, until it is as easy and comfortable as possible, making sure they keep coming back. Darwin Digital designs user interfaces for websites, application administratoin portals and mobile applications. Good UI design a fundatmental part of building a Graphic User Interface (GUI) that is intuitive and user-friendly. 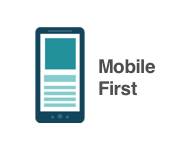 Darwin Digital designs both responsive and mobile-first websites depending on the target audience. 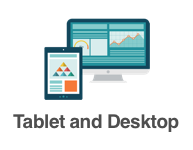 In a time when the majority of people browse the web using a smartphone, it is imperative that your website adapts to all platforms (desktop, smartphone, tablet) for the best user-experience. We will provide a bespoke design that represents your business and your customers.